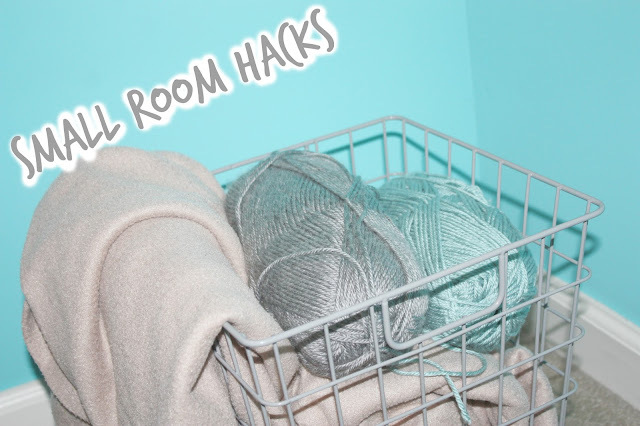 Having a small room can be hard, especially if you have a lot of furniture that you want to fit into it, so I've come up with a few ideas on how to make the most of a smaller room! Storage Baskets: These can be used for anything, from blankets and pillows to books and magazines! Nightstand alternative: If you don't have a lot of room for a nightstand, try a nightshelf! I use the bottom shelf of my wall bookshelves as a nightstand where I have tissues, water, a book, and a few other things I might need. Jacket Hooks: In a small room, it's important to use every bit of space, so try putting a jacket hook to hang purses, scarves, and coats on behind a door. Wall Bookshelves: I've talked about these before, but putting bookshelves on the wall is a really good place to store books and knick-knacks instead of taking up floor space. Do you have any ideas for ways to save space in a small room?